Starting another new year…which is following right on the heels of 57 other new years, I am considering what it means to age gracefully. I don’t mind telling you that while I curse, curse, curse the notion of plastic surgery, or injections of any kind to aid in my appearance, I do stand in front of the mirror and oh so gently pull up my slightly limp checks to get an idea of what I might look like with just a tuck here and a pull there. I am aware that if I pull too much, or in the wrong direction, I can look like the Japanese version of myself…not that that is a bad thing, just a radical thing given my Norwegian heritage. 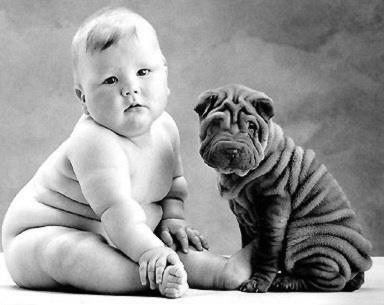 My husband caught me standing naked in front of the mirror, both hands grasping my “soft” belly while vigorously shaking it up and down..it .looked a bit like a taffy pull and I felt a bit like a Shar Pei. His sweet and I am sure supportive comment? ”Honey, the trend is not UP”. Was I recently tempted by the patent pending Chin Up? Hell yes! At $19.99, and guaranteed result in just 2 weeks! That sagging turkey neck (their words, not mine) was bound to disappear for good and they had pictures of Brittany Spears, Minka Kelley and Katie Perry to prove it…wait, aren’t their combined ages less than mine NOW? Of course they look good after trying Chip Up, their’s were never down to begin with. Still I was enticed. We, “women of a certain age”, are desperately trying to find peace with the fact that our appearance is changing, and we are looking more and more like our mothers. As intelligent, politically correct and mature females, we are supposed to embrace the wrinkles with little care and in-fact pride and honor that we have earned them and more, much more. Truth is we do struggle…don’t want to but we do. We buy the cream, the Chin Up, the “guarantee to cover gray” hair color…because we care. We care. We are aging. We are learning to let go and accept… and sometimes, just sometimes we just have to jiggle and see if the trend might be changing. Chin Up my friends…we are in this together. could i love you more… i doubt it, but i’m gonna try! I LOVE YOU SO FRICKIN’ MUCH. bravo, brilliant, beautiful, bountiful, and oh so brave! Love this. Great writing and sad and funny all int he same sentence. You popped up on my google alert for aging gracefully. So very beautifully & honestly written. Thank you. Your thoughts cover all the bases, all the contradictions, all the crappy feelings that arise whenever I am wanting to do battle with what is. Thank you for reminding me of where to find sanity when this idea of looking some other how, comes up. I find that looking at pictures from 5-10 years ago reminds me to appreciate what I have now. I look at older pic’s and at that time I used to think …ahhh there is that double chin. My arms are a little loose,my legs aren’t in such great of shape. Now when I see those pictures, I think I looked pretty good…I just didn’t appreciate it! So, when I am doing the mirror, mirror thing I try and concentrate on what is doing OK at the moment and recognize that in 10 years from now, I will look back and say “I looked pretty good back then”! Ha! I was recently reminded that cosmetic surgery does not make us look 30, but instead it makes us look like we are “trying” to look 30. That aside, I have recently taken a great deal of interest in watching the women my age (nearly 65) and noting what it is about them that still makes them attractive at this age and older. The common traits I find are a smiling or happy countenance; eyes that reflect their interest in new things, their wisdom about things that seldom change, and their passion about living life fully; good posture, and a great haircut (no matter what the color….white or outrageous red). There you have it! I’m so happy I am no longer making bad decisions with men, no longer care what others think, and that I have the freedom to finally be the person I have aspired to be my whole life. I have watched life enter the world and attended to it as it left. I have been threatened by health issues serious enough to make me face my own mortality. And I feel blessed that all of these things have happened to/for me. I wouldn’t trade this for my 3 mid-thirties daughters’ lives for anything. Hello, Loved your writing and your perspective! While men’s contribution is apparently to do exactly the opposite! We’re made for each other no?